Extra-murals and the toddler – worth the spend? Is it just me or has there been a sudden increase in extra-mural activity options for our young ones? I mean, what happened to good ol’ ballet and karate classes? We’ve super-saiyaned guys, and our kids can literally learn how to bake after school on any given afternoon. With that said, I love my kids and as much as I want them to learn #allthethings I don’t know if it’s worth the spend. We’ve been prompted to have the kideos join a local “monkeynastix” or “action ball” group. I mean, it seemed pretty exciting. Until I heard how much it costs. Sure, it’ll be great for the kid, but not so much for my grocery budget. So instead of catching feelings, about being the worst mom in the world, for not allowing my kid to learn how to catch a ball, I did some further investigating. 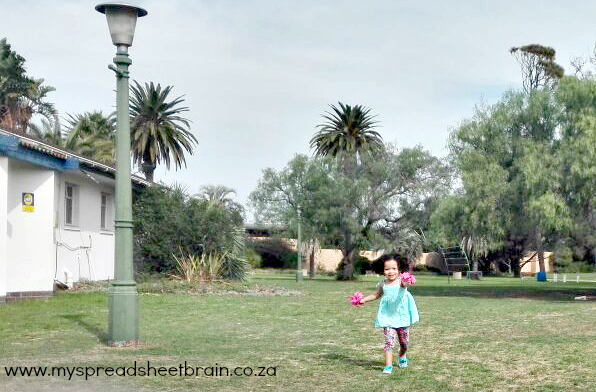 I found out that toddler gymnastics and ball training activities are pretty easy and I could probably teach them to my kid, in the comfort of my very own backyard. But guys, guess what, kids learn through play – just like how we did “back in the day” when physical play was the norm. It reminded me that we need to get out with our kids more often. 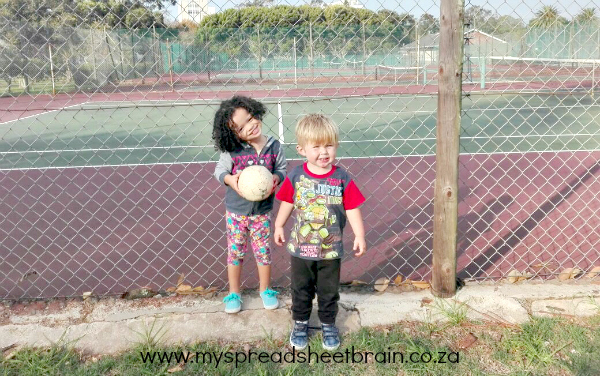 They need to build their little muscles through free play by learning to climb and jump and run and hop. They seriously don’t need a special class to teach them how to do those things. Sure there are perks such as socialisation and building core strength. But hey if you can’t afford it (me, I can’t) and your kid is getting enough physical play in, your child will be okay. I promise. Anyways, moms, what are your experiences with toddler extra-mural activities? Share your wisdom with us in the comment section below. I should play outside with my kid more, you’re so right. I absolutely agree with you. I received a big pack of flyers when my son started school. However, I decided to let him join soccer because he is a really busy boy, I had a baby about 8 months ago and let’s just say, getting out is not that easy. He was in swimming classes, but I had to take him out when he got grommets, definitely want him to join again though. You are so right. Our school offers 5 different extra activities. The cheapest is R100/month the most expensive is R140/m. The pressure to make sure your kid is not ‘left behind’ is ridiculous but I put my foot down this year. They got to pick one each and then they have to stick with it for the whole year, (don’t forget the once off admin fee per activity). Then they do dance lessons and in summer they do swimming. I am always surprised when I hear that some kids do ALL 5. Madness! Since the numbers at our school went down we only have Kindermusiek and Playball and I think that’s fine. One gross motor and one cultural one is just perfect. I really like the Kindermusiek because music and movement are so important and she does auditory stuff like listening and identifying sounds. My little girl is 2 and a half and she could, if we chose to sign up for everything on offer, do extra murals every day of the week! But we figured that she will be in structured activities for the next 14 years, so why not just let her be a little girl for now?! And let her play outside, with her dogs, her push bike and in her sand pit! My son is starting pre-school today and I’ve been debating whether or not to enroll him on an extra-mural activity. I just had a baby 3.5 months ago so don’t get to spend that much time playing outside with him anymore but I don’t know if I can justify the cost of some of the activities especially as both boys are in nappies still. Perhaps when he’s potty trained I can use his nappy spend on an activity. We already have him in swimming but this was before he started school and it’s important to us that he continues. I like the sound of Tumbling Tigers so might consider that or Dance Mouse but it will definitely just be 1 activity at school and swimming on the weekend. Swimming is a must for me too! Agree …love playing outside with my 4 kids my boys does sports at school and cricket . We were talking about the exact same thing at work a couple of days ago! Free play develops creativity and problem solving (mom, I’m bored) and these are crucial skills to learn! My kids do Capoeira and I can go on and on about the benefits of Capoeira for kids, but that is it! They are more than welcome to join sports at school, but I’m not entertaining any other extra murals.